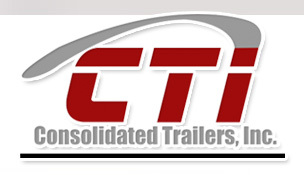 Consolidated Trailers Inc. Consolidated Trailers Inc. has specialized in Semi-trailers and Truck Bodies exclusively since we began operations in 1990. We have never attempted to expand into any other type of business or lose our laser focus in terms of what we do best. 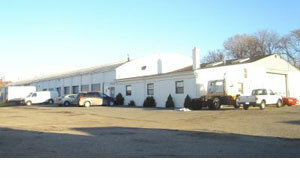 In 2002, Consolidated purchased our Edison Highway property and became a HubZone Certified Company. Since that time, we have been restoring our commercial property here in Baltimore City and creating new local employment opportunities. We provide Great Dane replacement parts to Fleet and Government Customers and we are an authorized Service Center for Great Dane Trailers. Our company's greatest asset is our experience and our staff is expert in all aspects of trailer/chassis design and repair. From the old days of Budd Trailers and Fruehauf Trailers to the present, our company has evolved along with the industry and created a database of technical knowledge and industry resources that are unique. Our 92% Customer Satisfaction rating places us in the top 10% of All GSA Vendors, while our fleet business is rated even higher at 98%. Yes, experience matters when you entrust your transportation design and repair to another company. Legal Name: Consolidated Trailers, Inc. Copyright © 2011 Consolidated Trailers, Inc.